​Chelsea have made enquires about the possibility of signing Paris Saint-Germain midfielder Adrien Rabiot as the club look to find a replacement for Cesc Fabregas. The 31-year-old left Stamford Bridge this week to join Thierry Henry's AS Monaco side for £10m, with Maurizio Sarri keen to fill the void in midfield, having already been linked with Cagliari's Nicolo Barella and Zenit St. Petersburg's Leandro Paredes this window. According to French media outlet ​L'Equipe though, the Blues have now turned their attention to PSG's Rabiot as Fabregas's possible successor, with the Premier League side making enquires about the 23-year-old. 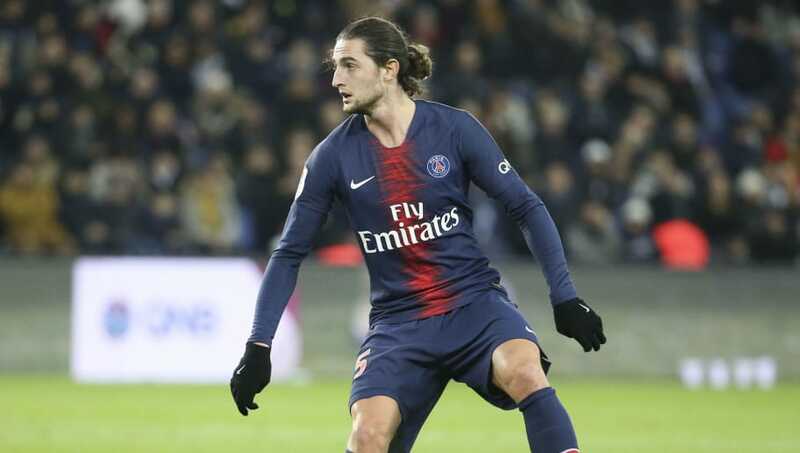 Rabiot is almost certain to leave the Parisian club at the end of the season once his contract expires, with ​recent reports suggesting a deal had been agreed with Barcelona, although ​Bayern Munich have made a late effort to scupper that deal. Reports in France claim that Chelsea have made an enquiry to sign Adrien Rabiot. News of ​Chelsea's apparent interest however could see the French midfielder's head turned, with the prospect of ​Premier League football and regular game time under Sarri something that could entice Rabiot to move to west London, while his assured touch and good range of passing would certainly see him fit into the Italian's plans. Chelsea are currently fourth in the Premier League in Sarri's first season in England, three points ahead of Arsenal, who could be level on points with the Blues by the time they play Newcastle this weekend.